The two cases are not connected. HERNANDO COUNTY – Three parents are facing charges after the deaths of two babies, the Hernando County Sheriff’s Office said. 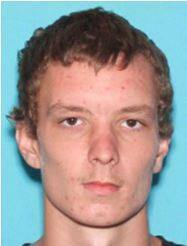 Jesse James Abney, 21, of Brooksville, was charged with aggravated manslaughter of a child. 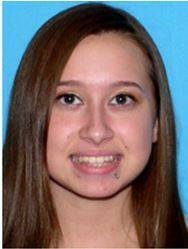 Justine Lynn Vansant, 19, also of Brooksville, was charged with one count of child neglect. They are the parents of 1-month-old Carson Abney, who died June 9 at All Children’s Hospital of injuries that included blunt force head trauma and rib fractures. Miles Luke Anchondo Sr., 25, was charged with one count each of murder while engaged in certain felony offenses and aggravated child abuse in connection with the death of his 2-month-old son, Miles Anchondo Jr., who died at All Children’s on July 21 of injuries that included a skull fracture. Hernando deputies were called to a residence in Spring Hill about 11:45 a.m. June 4 for a call about a 1-month-old baby who was not conscious and not breathing. When deputies arrived, they saw the child had bruising along the right side of his face, by his eye, and both eyes had blood in the white portion of the eye. The baby was taken to Bayfront Health Spring Hill by Hernando County Fire Rescue. The child was treated at Bayfront Health Spring Hill and was then taken to All Children’s Hospital in Tampa. Physicians reported blood on the infant’s brain and a considerable amount of brain swelling. The baby was in grave condition, deputies said. Deputies interviewed the parents, Vansant and Abney, at the hospital. The parents said they had gone out with the baby for food earlier in the morning. When they got home, they put Carson in his crib. The parents then went to take a shower together. After the shower, they said they tried to feed Carson. That is when they noticed he was limp and not breathing. Detectives said they interviewed Vansant’s uncle, who also lives in the home. Deputies said he told them that the couple did enter the shower together, but Abney got out of the shower before Vansant. Abney made a bottle for the infant and went back into the bedroom. A short time later, Vansant got out of the shower and went into the bedroom and started screaming that the baby was not breathing. A search of the bedroom revealed a green leafy substance on the nightstand and sprinkled over Vansant and Abney’s bed. In a drawer of the nightstand, deputies said they found several pills, empty baggies, a glass pipe, and rolling papers. The leafy substance tested positive for the presence of THC, which is found in marijuana. Carson died about 1:14 p.m. June 9 at All Children’s. The autopsy report on Carson Abney revealed blunt force head trauma and several rib fractures, deputies said. Because of the extensive injuries, the death was ruled a homicide. During the course of the ensuing investigation, deputies said evidence was gathered that showed Jesse Abney was responsible for Carson’s death. Judge Curtis Neal signed a warrant Wednesday (Oct. 25) for both parents. Abney and Vansant were found this morning (Oct, 26) at their Brooksville residence. The Hernando Sheriff’s Office received a 9-1-1 call about 5:30 p.m. July 19 from a man they later identified as OMiles Anchondo Sr., who said his 2-month old son was not breathing. As the 9-1-1 operator was providing CPR instructions, Anchondo said he had taken the baby out of the bath and the boy was now naked on the floor. operator. Deputies said they also saw what they believed to be marijuana in plain view, in the living room. The baby was taken to Bayfront Health Spring Hill by Hernando County Fire Rescue. Initial assessments and CT scans revealed a low white blood count, skull fractures on both sides of the baby’s head, and a brain bleed. Physicians told deputies the child also appeared to have a healing rib fracture. Because of the severity of the injuries, the baby was airlifted to All Children’s. Detective Chris Kraft spoke with Anchondo who said he put Miles in a stroller next to the bed and fell asleep. Anchondo said he awoke to what he thought was the baby’s crying or coughing, only to find the child limp. Anchondo told Kraft that he removed all clothing from the baby, placed him in the bathtub, and turned the water on. During the interview, Kraft said, he noted other discrepancies in what Anchondo was telling him and what he said during the 9-1-1 call. Also during the interview, deputies said, Anchondo admitted to smoking marijuana the day before, and that he had knocked over a small bong while he was trying to help the baby. He told Kraft he kicked the broken pieces of the bong under the sofa. Anchondo then came to the Sheriff’s Office for additional questioning. Once at the HCSO, Anchondo told detectives he was carrying the baby and “he hit his head hard on the door jamb” and that after he hit his head, the child fell asleep easily. Anchondo said he knew the child needed medical attention but was going to wait for his girlfriend to get home. During this interview, deputies said that Anchondo told them that, a few weeks before, he was pushing the baby in the stroller “back and forth hard and fast” which caused the child to lunge forward and hit his head on the rails of the stroller. Lastly, deputies said Anchondo told them that he had dropped Miles on his head, on the tile floor. The mother of the child was interviewed as well. She told detectives she observed some minor bruising on the infant and had questioned Anchondo, who told her that the baby must have been sleeping on his pacifier, causing the marks. Miles Jr.. died about 12:05 a.m. July 21. The autopsy report on Miles Jr. revealed a skull fracture, brain and spinal cord injuries of varying stages, healing fractures of the right seventh and left sixth ribs, recent fractures of the right fifth and sixth ribs, and pulmonary congestion, edema, and pneumonia. Because of the extensive injuries, deputies said, the baby’s death was ruled a homicide. Deputies said they concluded that Anchondo’s statements were not consistent with the injuries Miles suffered. Miles, they said, suffered ongoing physical abuse that resulted in his death. Anchondo was arrested Wednesday.